(Mashable) — The idea of the “power song” or playlist has been around ever since music has been mobile, with runners and cyclists enjoying inspiring music during their workouts for well over a decade. Swimmers, however, have been left out of the sports-music movement, at least until now. Sony was nice enough to let me check out a water-repelling Walkman in advance of CES, and it definitely does what it’s supposed to. Showering with the W270, I found the controls easy to use and the earphones themselves to be comfortable. You need to be careful about positioning them in your ears to get maximum volume, and they come with an extra tether to pull the cable tight when you’re swimming. When my head was fully submerged with the Walkman, I found the volume to be adequate, but only when I had it on maximum. The fact that it can’t play that loud is probably a safety feature, since when I surfaced, the music sounded louder. One of the buttons lets you select different playlists, but only if you’ve synced the device with Sony’s software on a Windows PC. The Walkman still works with Macs, but only as a drag-and-drop storage device. It played all my iTunes MP3 and (non-DRM) AAC songs just fine. Besides opening swimmers up to workout music, the W270 is also handy to any athlete who’s had a digital music player quit on them because of the dreaded sweat factor. Battery life is rated at eight hours. 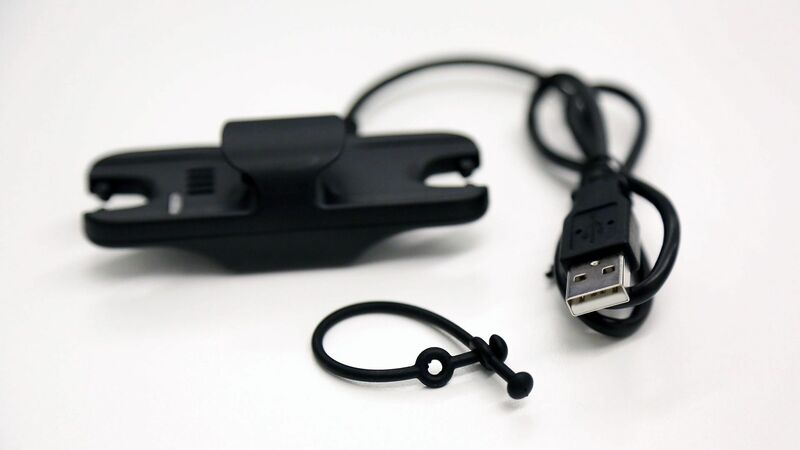 Unfortunately, due to the waterproof nature of the player, it needs to connect to your computer via a proprietary docking cable (see the pic below). If you lose that cable, your waterproof headphones will be nothing more than a decorative ear accessory after they’ve lost their charge. While the NZW-W270 is unremarkable as a music player, its waterproof qualities make it a useful tech toy for swimmers. It’s a product that solves a real problem — great to see from a traditional brand like Sony. 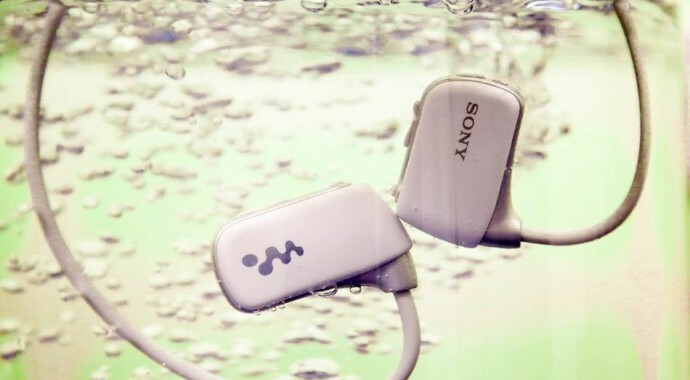 How do you like Sony’s musical dip in the pool? Let us know in the comments.